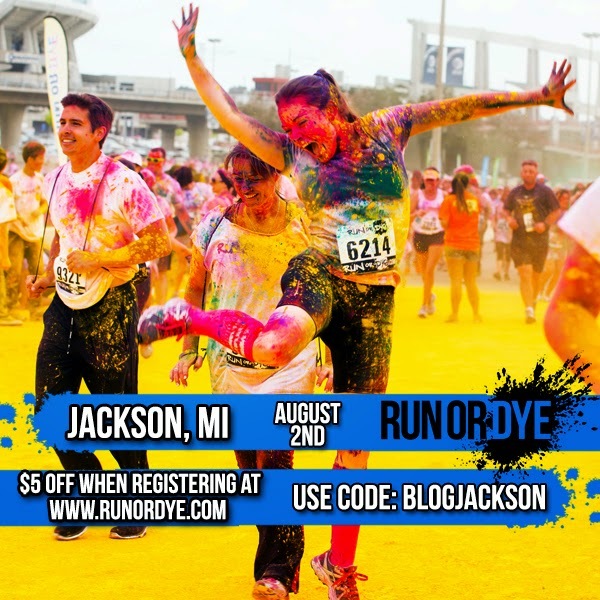 Run or Dye, the world's most colorful 5K, is headed to Armory Arts Village on August 2, 2014! 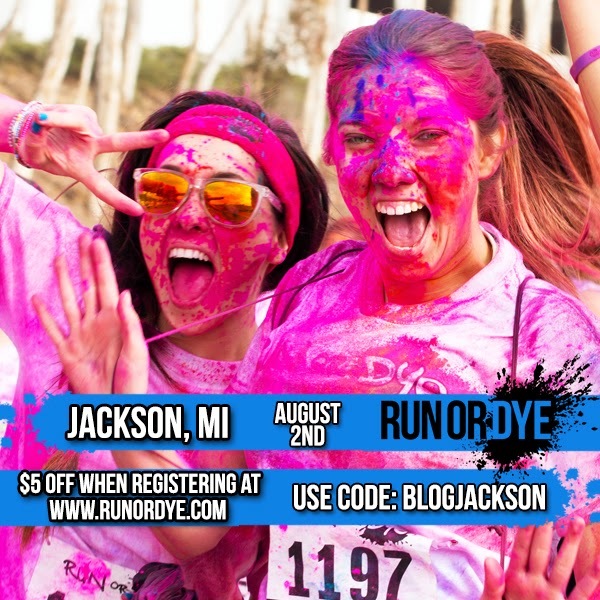 Bring all your friends and run a color-blasted 5K, where you get showered in safe, eco-friendly, plant-based cornstarch dye every kilometer. Then enjoy our world-famous Dye Festival afterward, where you can Tie-Dye the Sky (not to mention all your friends!) in this ultimate celebration of life, friendship, fitness, and fun. 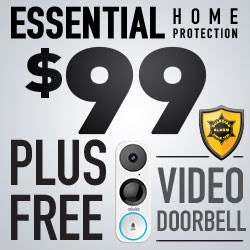 Use the code: BLOGJACKSON to save $5. CODE EXPIRES July 25th! If you join a team you can save another $5 for a total savings of $10. 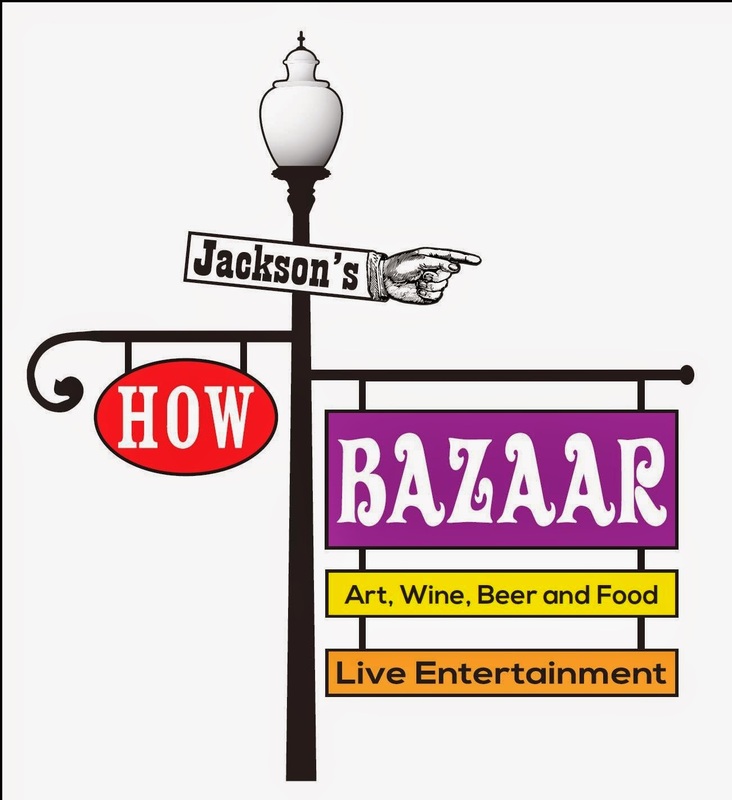 Run or Dye is being produced in collaboration with this year's How Bazaar event in downtown Jackson! After you Race the Rainbow, enjoy food, beer, and wine tasting, live music, and so much more! CHECK IT OUT! Run or Dye is for absolutely everyone! Whether you're a recovering couch potato or an avid marathon runner, you'll love the atmosphere and experience at Run or Dye. You're welcome to walk, run, dance, or skip your way to the finish line. And Run or Dye is family-friendly -- kids 6 and under participate for FREE and do not require registration! 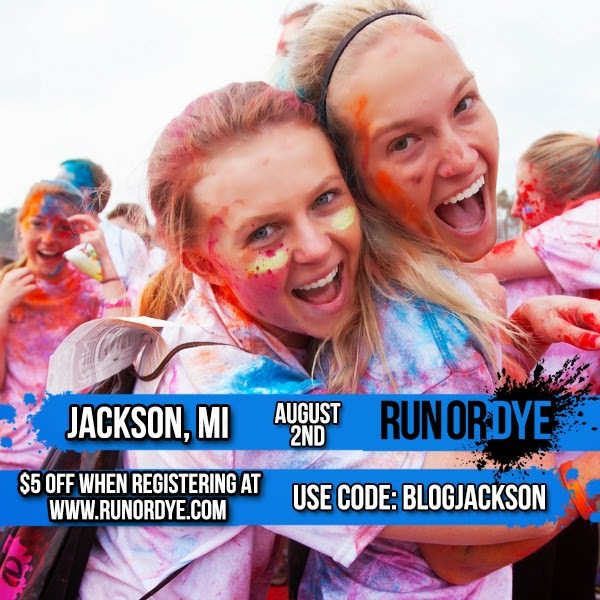 Enter below for your chance to win two codes for free admission to Run or Dye in Jackson, Mi on August 2nd, 2014. Giveaway ends 7/13/2014 at 11:59pm. Winner will be send the codes via email within 48 hours of the end of the giveaway. Disclaimer: We will receive compensation and admission to this event in exchange for this promotional post.